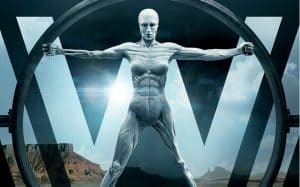 Westworld Season 2 is Officially Coming.... in 2018 | Nerd Much? Westworld Season 2 is coming. Like that was a surprise to anyone. What is a surprise is that we likely won’t get it until 2018. Anyone else going into hibernation? According to Entertainment Weekly, HBO has officially ordered Westworld Season 2. Previously, there was talk about the series having a plan for at least five seasons, so the announcement is not really the big news here. In order to maintain the epic nature of the show, Westworld likely won’t return until 2018. This timeframe was suggested by HBO’s programming president Casey Bloys. With only three episodes left of this season, we were already looking forward to season two. As much as it pains us, we would rather the show take the time it needs to maintain its incredible quality. If you haven’t jumped on the Westworld train yet, why not? The show has seen a ton of critical appraise. It’s also averaged about 11.7 million viewers, which is more than Game of Thrones obtained during its first season. This is a show that shouldn’t be missed. We really can’t stress this enough. Hopefully, someone will continue to update our website after we freeze ourselves for the release of Westworld Season 2. We certainly can’t wait until 2018 without it.